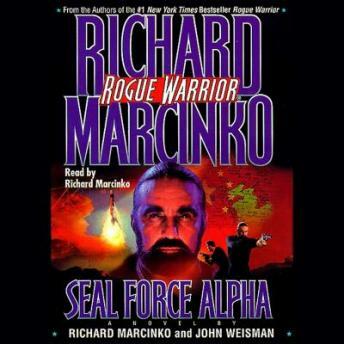 AS A U.S. NAVY SEAL, RICHARD MARCINKO KNEW NO LIMITS -- AS THE ROGUE WARRIOR, HE OBEYS NO RULES. The Rogue Warrior's taking a flying leap -- a high-altitude jump over the South China Sea. His mission: scuttle a Chinese freighter's cargo of nuclear hardware and its crack crew of naval commandos. It's a leave-no-tracks, take-no-prisoners operation, and business as usual for Marcinko. But on board he makes a chilling discovery: a cache of state-of-the-art command and control equipment, all made in the U.S.A. -- and primed for America's destruction! Marcinko takes his findings back to Washington, where he runs into a wall of doublespeak and double deals. Tapping into his own intelligence sources, he discovers the ugly truth -- some of the U.S. military's most sophisticated technology has been given to our most dangerous potential adversary: the Chinese. Their long-range objective: turning the United States into a third-world country -- and a fifth-rate power. Worse, the Rogue Warrior discovers that Washington has signed off on the deal.